Rita H. Breitenstein, 95, of Columbia, died Aug. 30, 2018, at her residence. 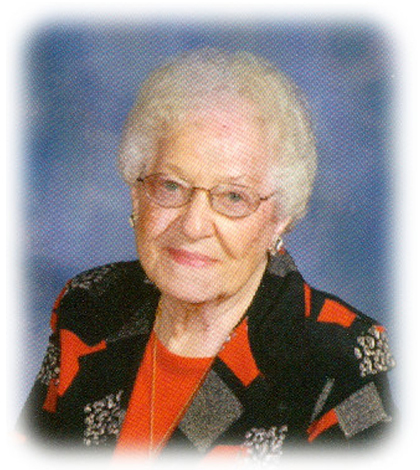 She was born April 27, 1923, in Waterloo, daughter of the late Vincent and Clara Rick (nee Marquardt). She married Harry L. Breitenstein on Sept. 4, 1943; he preceded her in death on March 3, 1995. Rita was a member of Immaculate Conception Catholic Church, Columbia, where she had been active with the Altar Sodality. She was also a member of Columbia Senior Citizens. Rita had been a seamstress at Ely Walker in Belleville and for Charles Todd in Columbia. One of her passions in life was quilting, having stitched several hundred quilt tops over the years. She was also an avid St. Louis Cardinals baseball fan. Surviving are six sons, Harry (Roberta) Breitenstein of Waterloo, Richard Breitenstein of Waterloo, Bernard Breitenstein of St. Clair, Mo., Eugene Breitenstein of O’Fallon, Michael (Ronda) Breitenstein of St. Louis and Ken (JoAnne) Breitenstein of Columbia; daughter, Denise (Christopher) Sueme of St. Louis; 27 grandchildren; 24 great-grandchildren;and three sisters, Sr. Anna Rick of Springfield, Coletta (Walter) Rau of Waterloo and Eunice (Max) Warren of Tennessee; along with other relatives and friends. In addition to her parents, she was preceded in death by her daughter, Antoinette Breitenstein; three brothers, Armin, Emil and Ervin Rick; three sisters, Florence Scheibe, Alice Doffin and Elsie Stark; and daughter-in-law, Sheila Breitenstein (nee Kimme). Visitation was Sept. 4, at Lawlor Funeral Home, Columbia, and Sept. 5, at Immaculate Conception Catholic Church, Columbia. A funeral Mass was celebrated Sept. 5, at the church, Fr. Carl Scherrer officiating. Interment followed at Immaculate Conception Catholic Cemetery, Columbia. In lieu of customary remembrances, the family requests with gratitude that memorial contributions be directed to Immaculate Conception Catholic Church Building Fund.